Bold table, base 480x480 mm, tube column Ø50 mm. Height 1100 mm. 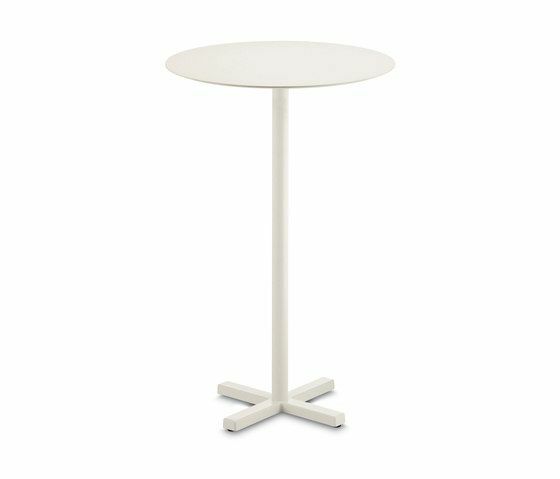 Bold table family, with cast-iron base, tube column Ø50 mm. Powder coated in the following colours: white, black, silver, natural grey, brown or ivory. Available in different heights: 730 mm, mm 1100.